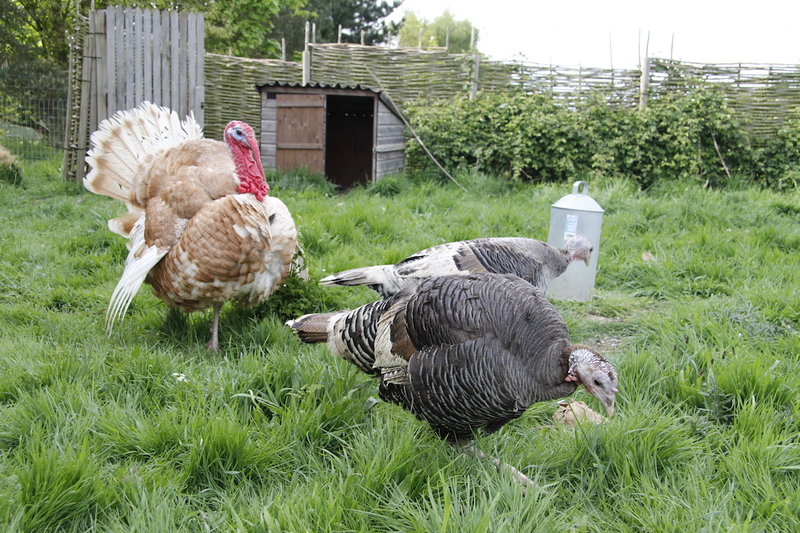 Turkeys are not very bright – this is OK, it makes it easier to eat them. We have nine hens and one stag/tom (Ataturkeyoglu – I still find this very very funny). 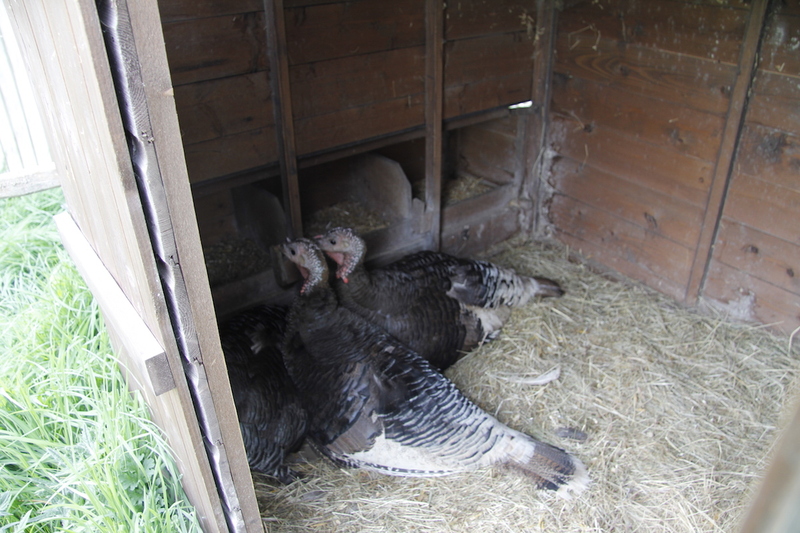 Sometime just after Easter the hens started sitting in a confused turkey heap. Last year our two original hens sat very nicely each on their own clutch of eggs. This year chaos reigned. They all piled in together in three separate nests. I left them to it. I am not a turkey expert, maybe this is how they like to incubate eggs. On reflection this was a mistake. They kept adding new eggs at different times (so there will be no single hatch date), eggs rolled away and they weren’t really sitting on them all. Next time I will try and get them to sit separately, although how I will do that is anyone’s guess. One hen however made her own nest, laid her own eggs and sat quietly on them. I had hopes for her hatching some turkeys. Thursday morning I went to check on her and the status of her eggs. 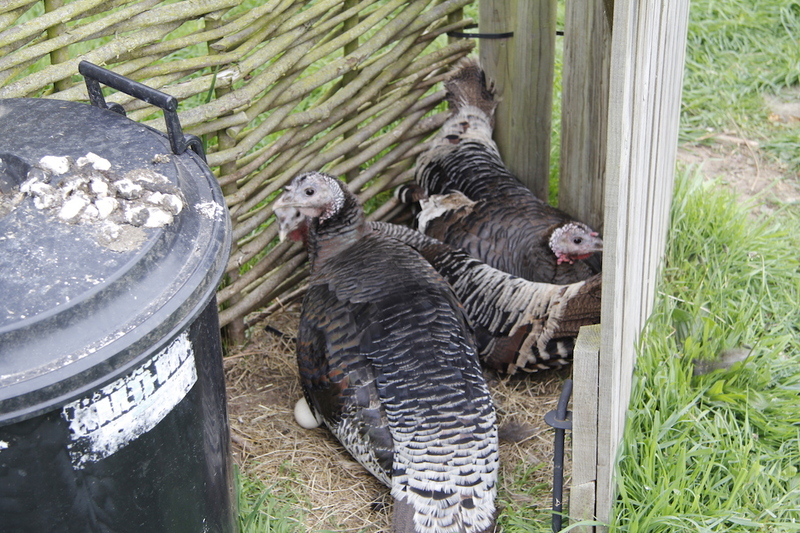 Our turkeys are pretty good at sitting (well the original two were) but are rubbish at looking after chicks – see here for last year’s debacle. As a result we take the chicks into protective custody as soon as possible. 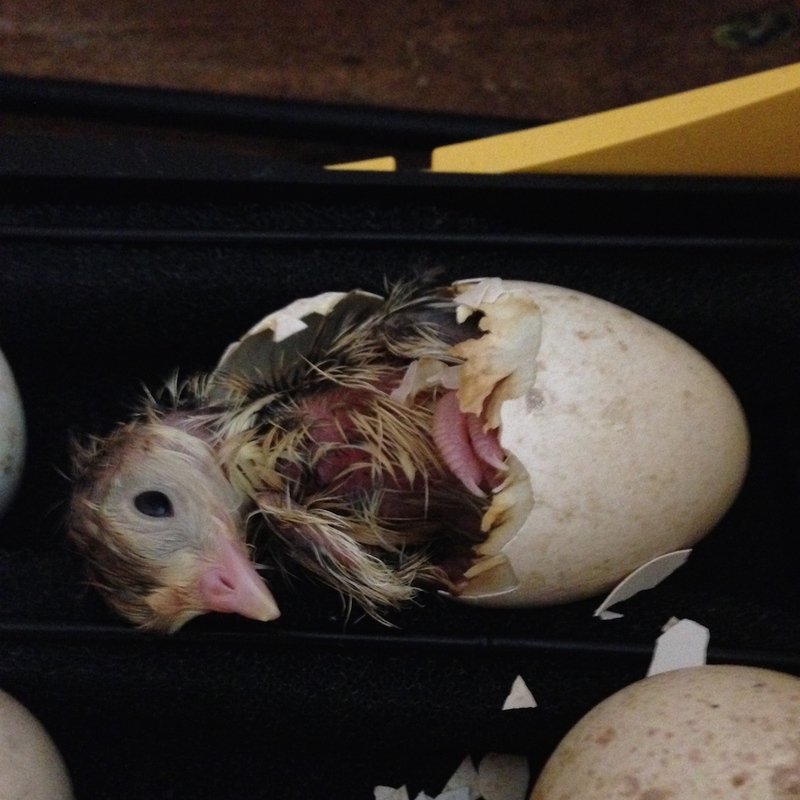 I had a little peek and there was an empty egg shell – maybe one had hatched. I rooted around under her and extracted two eggs that had chicks halfway through hatching. The eggs were squashed and the chicks were dead. And then I found a chick that had managed to get out of the shell, but it too was dead – it had been squashed. She had managed to incubate the eggs, but then squashed them as they hatched. Drastic action was required. I scooped up the rest of the eggs and put them in the incubator. 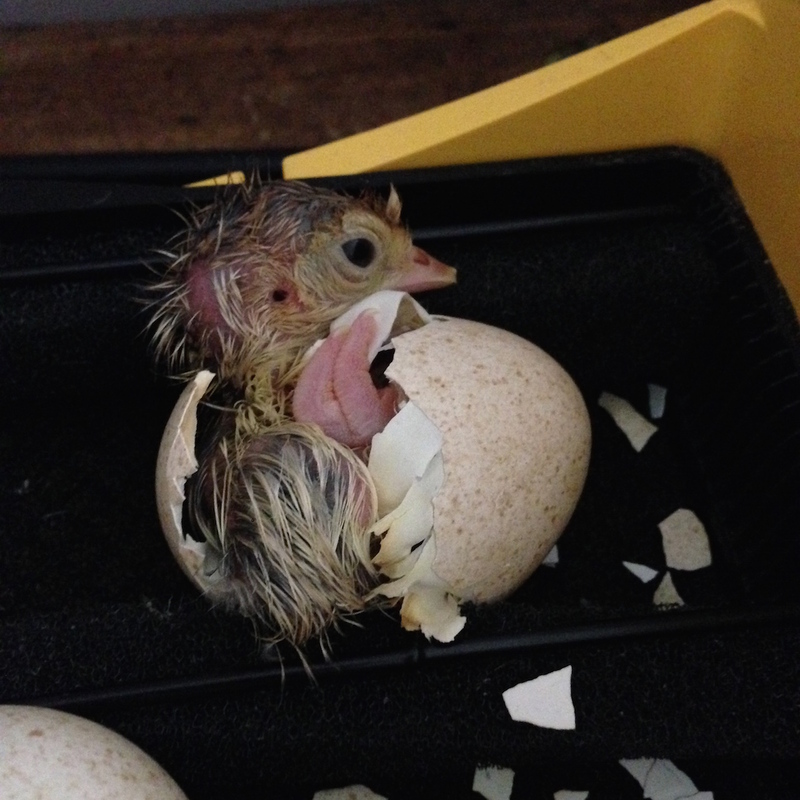 Unfortunately the incubator had Ixworth eggs in and they were only half way through their incubation. A dilemma …. 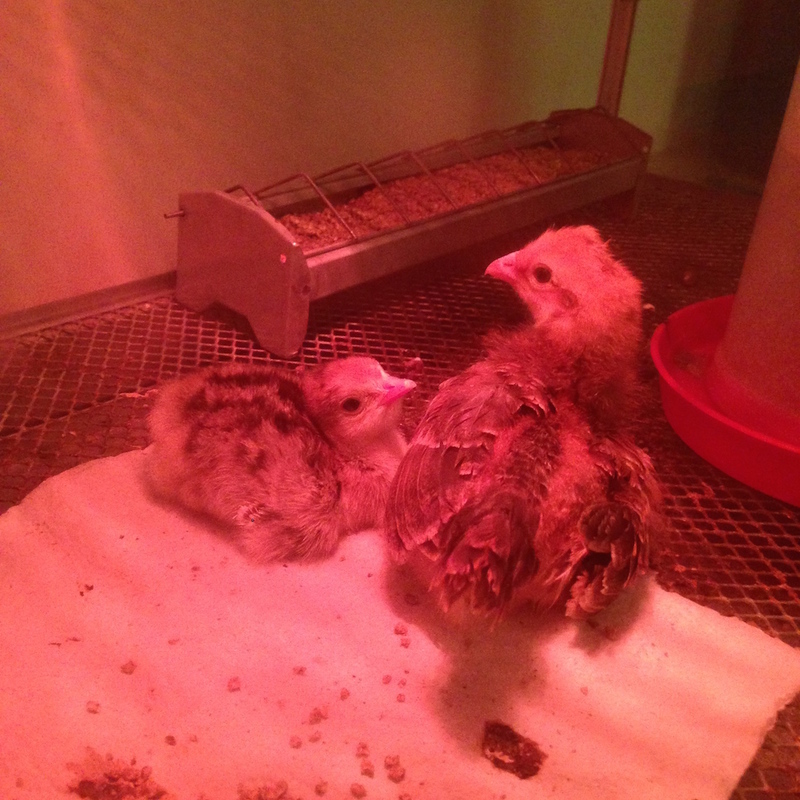 the turkey eggs would require a higher humidity to hatch, but this might negatively affect the Ixworth eggs. I decided in favour of the turkeys especially as one egg had pipped. And then a little turkey hatched. I candled the others and thought that at least three eggs had live chicks in, but there was no sign of pipping. 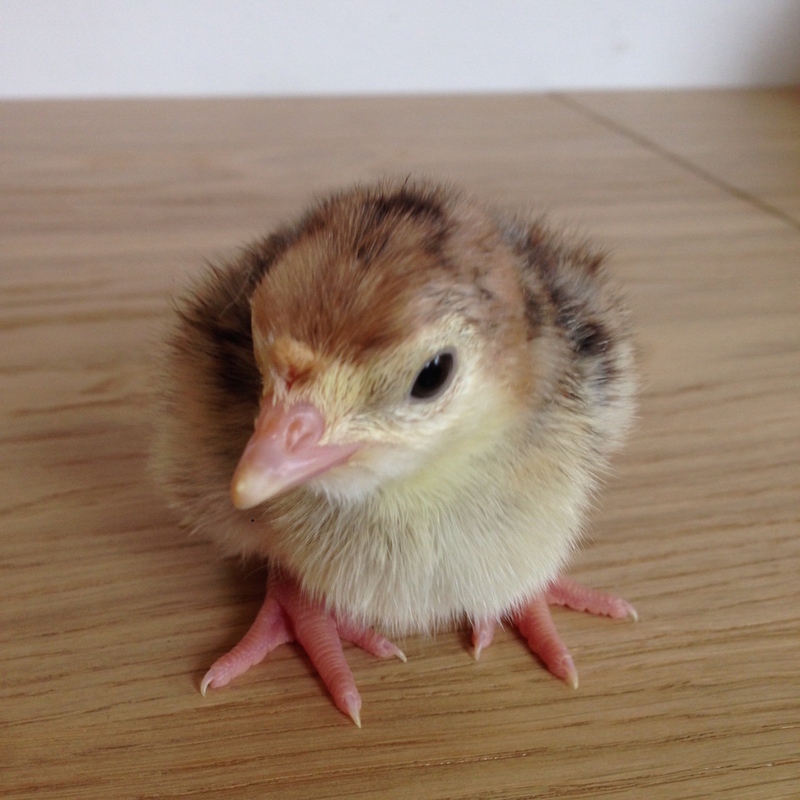 Eventually I moved the chick into the brooder. 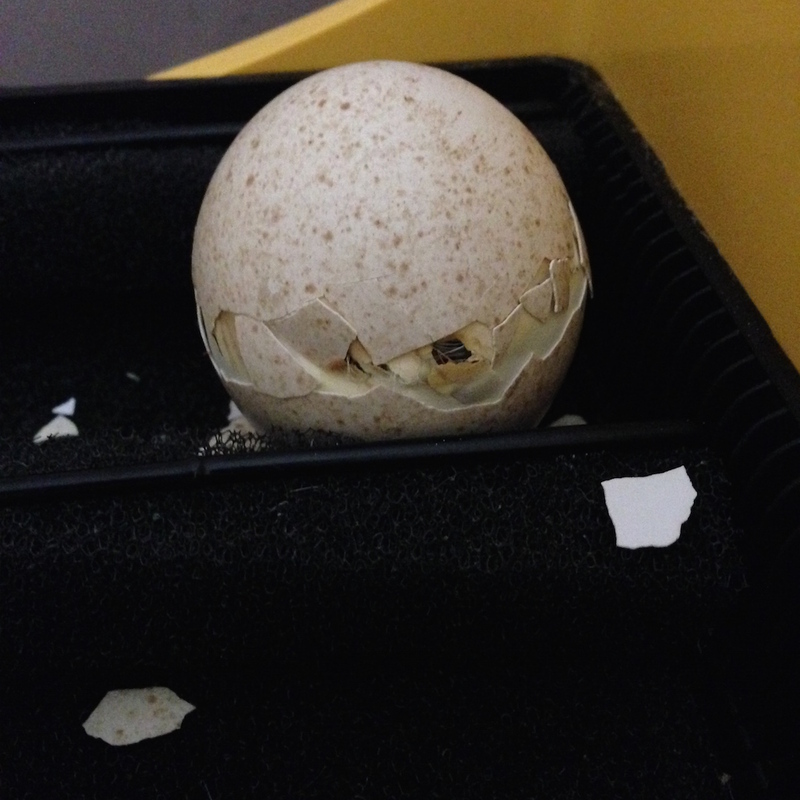 All day Friday I waited for a friend to hatch for him, but nothing – just faint tapping from inside two of the eggs. In the end I put one of the chicken chicks from the bike shed in with him for company. And then just before I left for London on Saturday morning one of the eggs that had pipped the night before unzipped and with a little help this little guy fell out. I then made a little hole in the other egg that I heard tapping in and left. When I came back this one was out as well – three little turkey chicks. As I write this now there is one chick alive but not really making much progress although I have taken away some of the shell, and there is movement in a fifth egg but I haven’t cracked that one. I am trying so hard not to meddle, but it is very very difficult. More photos tomorrow when there is enough light. I smack the base of my hand on my forehead as I read this tale…dim, dim turkey moms. Glad you were there to intervene and rescue even those few you were able to. Always somethin’.